After off-Broadway and regional productions across the U.S., Scott McPherson’s 1991 play Marvin’s Room celebrates its first Broadway opening night on June 29. The work began on June 8 at the American Airlines Theatre. Anne Kauffman directs the production that will play a limited engagement through August 27. In Marvin's Room, estranged sisters Lee and Bessie have never seen eye to eye. Lee is a single mother who's been busy raising her troubled teenage son, Hank. Bessie's hands are full with their elderly father and his soap opera-obsessed sister. When Bessie is diagnosed with leukemia, the two women reunite for the first time in 18 years. The play features Janeane Garofalo in her Broadway debut as Lee, with Lili Taylor as Bessie, Celia Weston as Ruth, Jack DiFalco as Hank, Carman Lacivita as Bob and Marvin, Nedra McClyde as Dr. Charlotte, Luca Padovan as Charlie and Triney Sandoval as Dr. Wally. 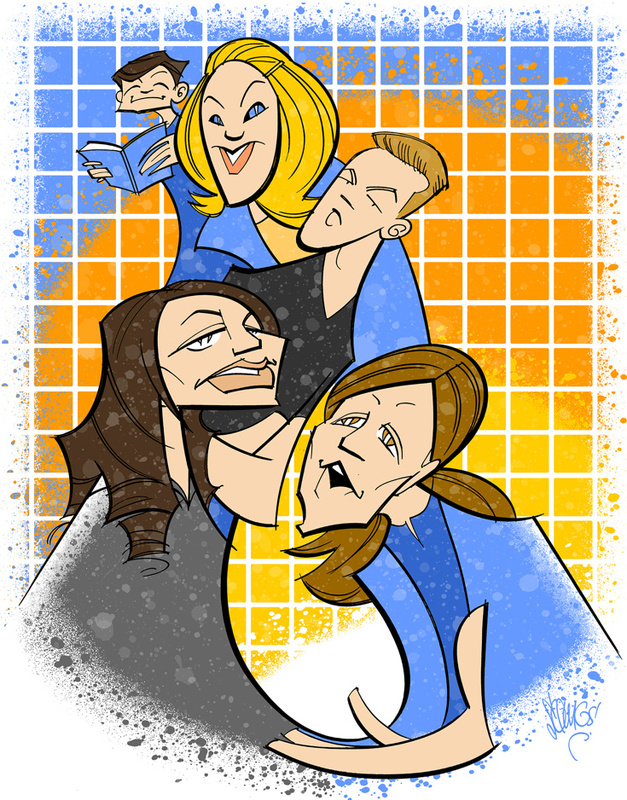 To commemorate the play's opening night, Broadway.com Resident Artist Justin "Squigs" Robertson sketched a portrait highlighting the familial bond displayed by stars Padovan, Weston, DiFalco, Garofalo and Taylor.